What wines are best to pair with sushi? 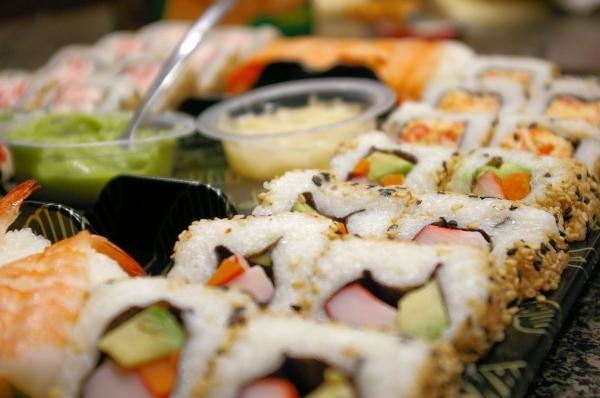 Sushi is a trend food that spans by many restaurants in different countries. That’s because it offers a variety of flavours and a perfect nutrition for all types of bodies. When drinking the right wine for sushi, you should consider what is the best. We give you some signs so you do not get lost. Depending on the type of sushi you eat, although it’s often preferably raw fish, we’ll use both types of wine. As it consists mostly of fish, white wine is the best. It brings the necessary freshness for sushi and intense fruit aromas, which combined with rice, soy and raw fish, intensify the flavour of the whole mixture. Flor de Vetus Verdejo 2014 is a Rueda wine from the Bodegas Vetus cellar with the best bunches of 2014 verdejo and 13º of alcohol. As well as white wines, rosé are also chosen to pair with sushi. They also give freshness in all seasons of the year we drink them. 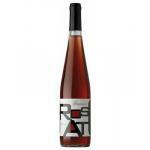 Gramona Moustillant Rosat Brut, a rosé wine of the Penedes DO made with syrah and merlot grapes and presents an alcohol content of 11º. Red wines can also go well with raw fish. In any case they must be young, light, with a low concentration of tannins. The result are fresh wines that pair well with the main ingredients of sushi. 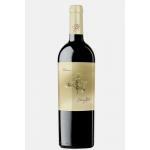 Juan Gil 4 Meses 2013: a red wine with DO Jumilla with a blend based on monastrell of 2013 and with an alcoholic strength of 15º. Among the main varieties of these wines that you can drink with sushi, we include Tempranillo, Verdejo or Albariño. With rosé wines, Monastrell, Chardonnay and Sauvignon Blanc, in general. Among the reds, Syrah variety is one of the chosen. 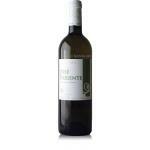 José Pariente Sauvignon Blanc 2014: a white wine is made with sauvignon and sauvignon blanc of 2014 and with 13º of alcohol content. The wines that go well to make a sushi tasting are varied: we have seen white, rosé and red wines, and also highlight sparkling wines and cavas. There are a variety of brands and types of wines for this use. Argentinian Malbec, Pinot Noir from Burgundy, the Spanish wines of Rueda, some rosé wines from Jumilla or certain red wines from Penedès. 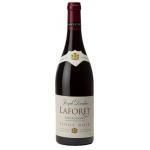 Laforêt Pinot Noir 2011: a red wine from this DO: Burgundy produced with pinot noir from the 2011 vintage and 12.5º of alcohol content. Leave a Comment What wines are best to pair with sushi?